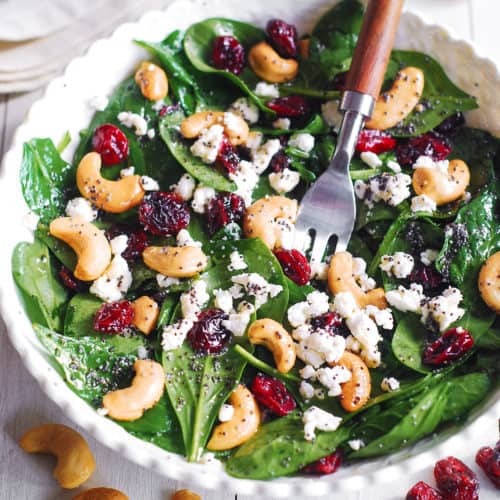 Cranberry Spinach Salad with Cashews and Goat Cheese and Lemon-Honey Poppy Seed Dressing. Delicious, healthy salad with easy ingredients. 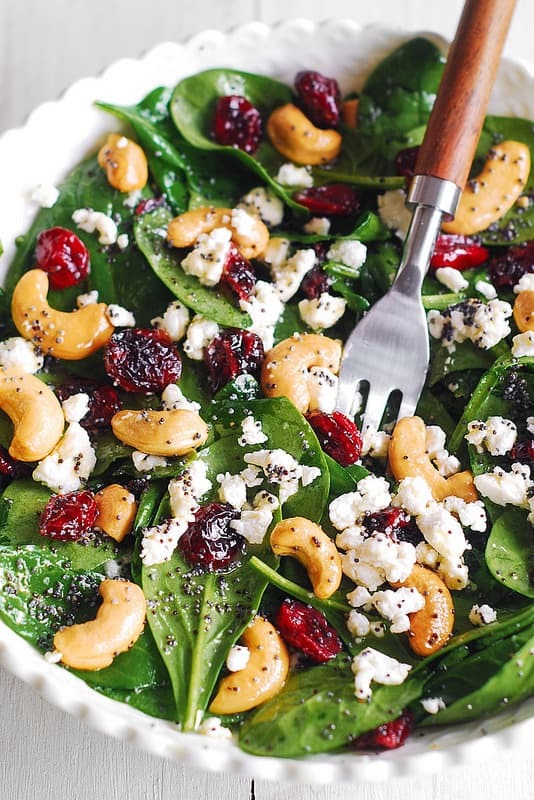 I love spinach salad and make it all the time using different kinds of ingredients. 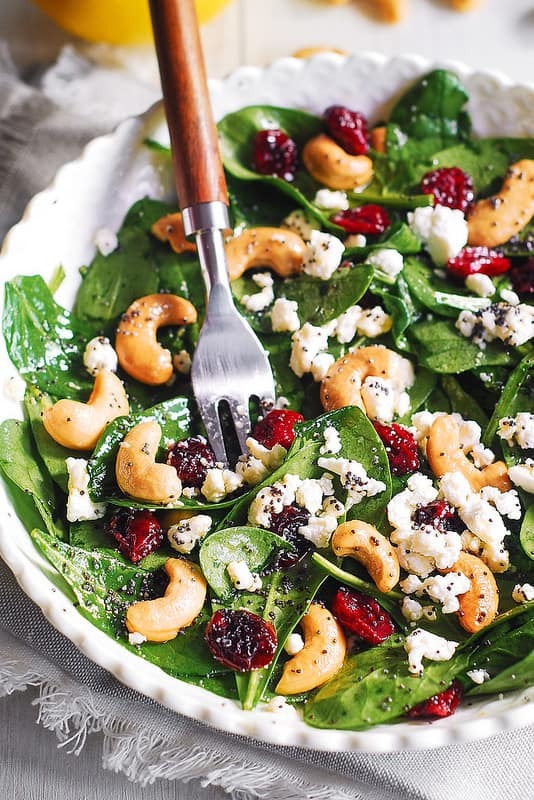 These days I really like cashews so this salad features cashews, goat cheese, and dried cranberries. The dressing is easy to make at home and super delicious: I mixed olive oil, freshly squeezed lemon juice, honey, poppy seeds and stirred it altogether until smooth. So easy and very tasty! 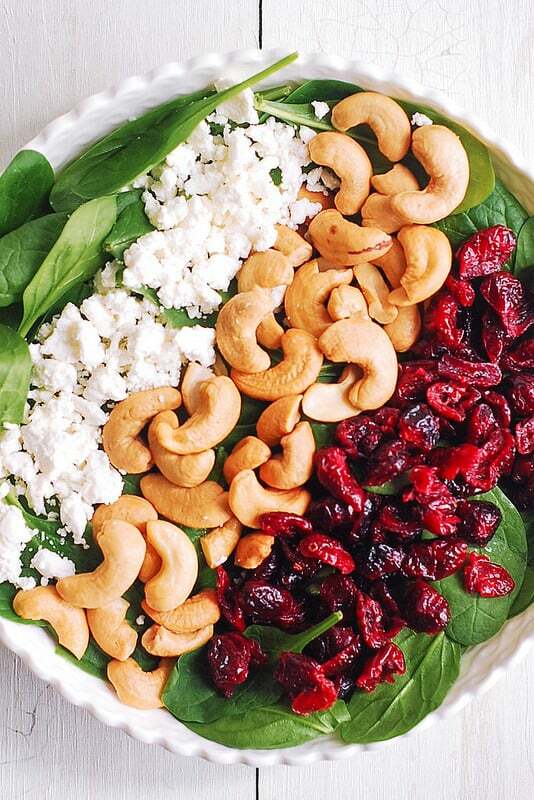 This photo shows all ingredients that go into this salad (except for the salad dressing): spinach, cashews, goat cheese, and cranberries. Easy! This is a perfect salad for winter months when we all need extra vitamins and nutrition. It has lots of good fats: olive oil and cashews. 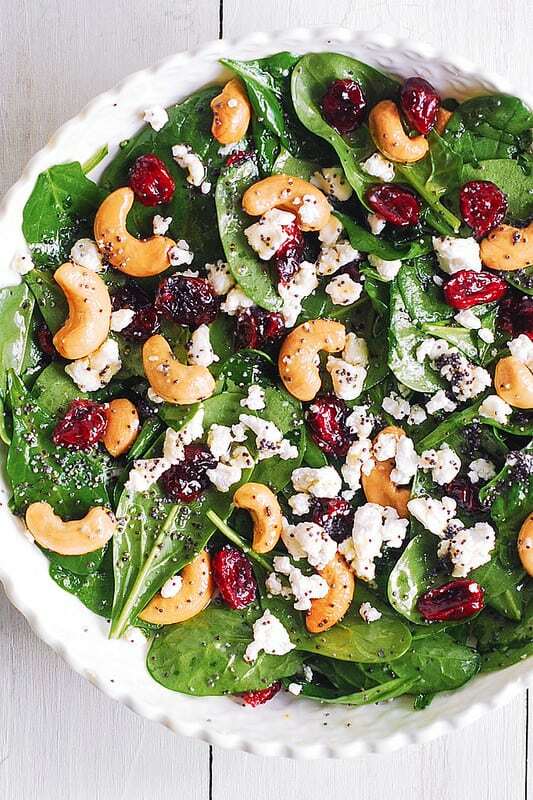 After you make this spinach salad and mix it with the salad dressing, add the goat cheese last, on top of the salad. You can mix it in right in the salad, too, but it gets creamy really fast which you might actually like or you might not. So, keep this in mind. Enjoy! 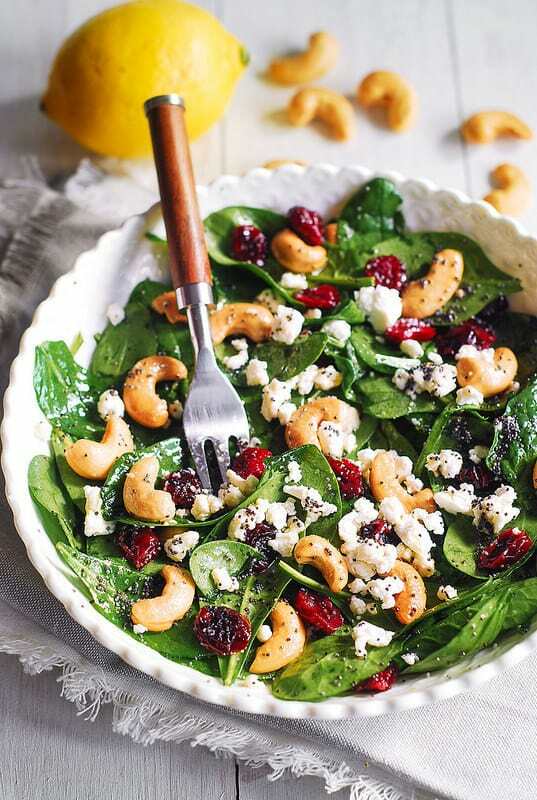 In a salad bowl, combine baby spinach, cashews, and cranberries. Do not add goat cheese yet. In a separate small bowl, combine salad dressing ingredients: olive oil, honey, lemon juice, and poppy seeds. Whisk until well-combined. Pour the salad dressing over the salad, and mix. Do not add all of the salad dressing at once - add just enough to coat the salad to your taste. Top with crumbled goat cheese.